Air Fryers are the new hot kitchen gadget on the market. Follow along as I discover fan favorite recipes, create my own healthier alternatives to fried food, and explore the full potential of the gadget. I finally gave in and ordered an Air Fryer exactly one month ago. When it arrived, it sat in the box, in a corner of my kitchen, for approximately two weeks. I am typically so excited to unveil new kitchen gadgets and appliances, but with the Air Fryer, I was absolutely terrified. I had no idea where to start! What were the rules?! How did I get started?! When I finally got up the nerve to open the massive box, I discovered a very simple device with one pull out "drawer", essentially, that acts as the fryer basket. Turns out, air frying is pretty easy. You place your food in the basket, you add a minimal amount of oil or fat, and you set the temperature and time. Sometimes the recipe involves shaking the basket part-way through the cook time to ensure that everything in the basket gets evenly cooked to crispy perfection, sometimes you just set it and forget it. Thus far, I haven't cooked a single recipe that I didn't like using my air fryer. 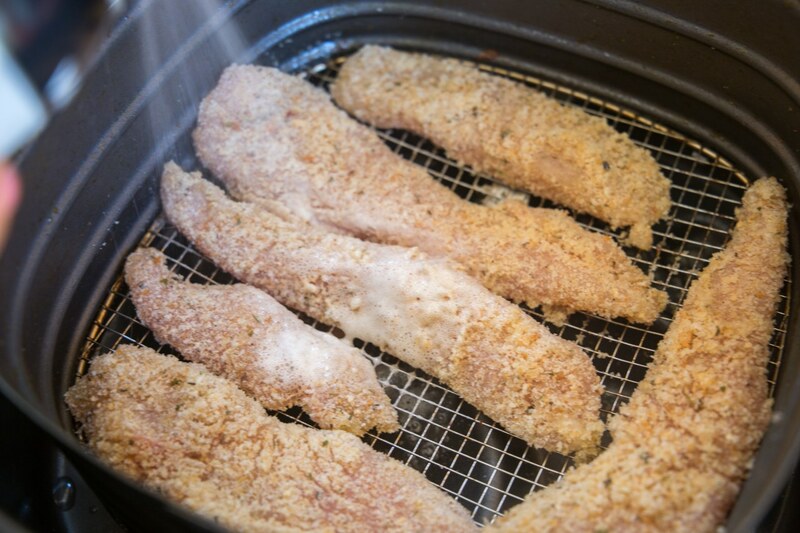 I tried these chicken fingers using oil instead of a whisked egg as the "glue" to keep the panko on, and I found that the breadcrumbs didn't stick nearly as well as with the egg. 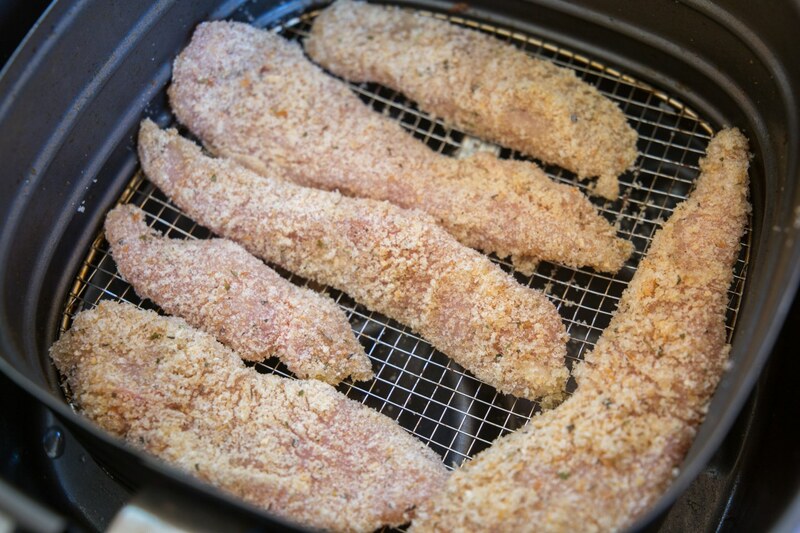 These "Healthy Chicken Tenders" aren't like a heavily breaded chicken finger from a fast food restaurant. 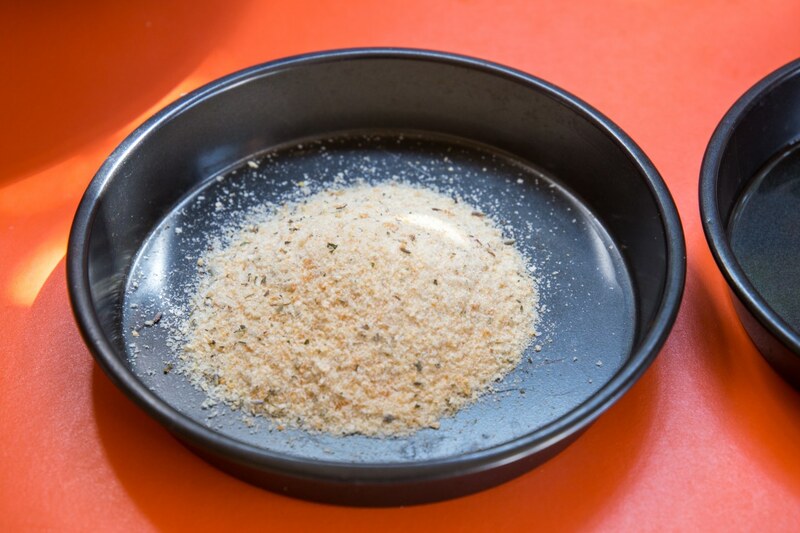 They use high quality breadcrumbs, and are crunchy on the outside and tender and moist on the inside. They would be delicious on a salad instead of grilled chicken, but they're also delicious with dipping sauce like traditional chicken tenders. The best part? They only require five ingredients, and they cook in just 12 minutes. 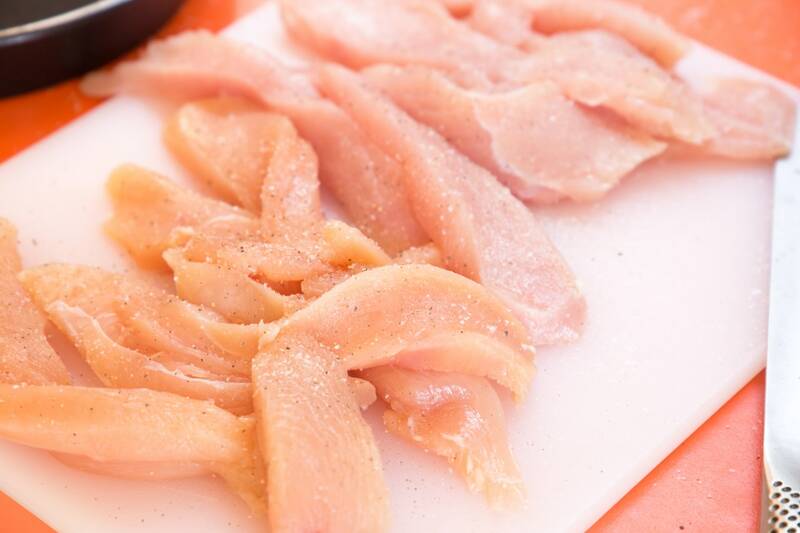 Cut the chicken breasts into 1/2-inch thick strips. 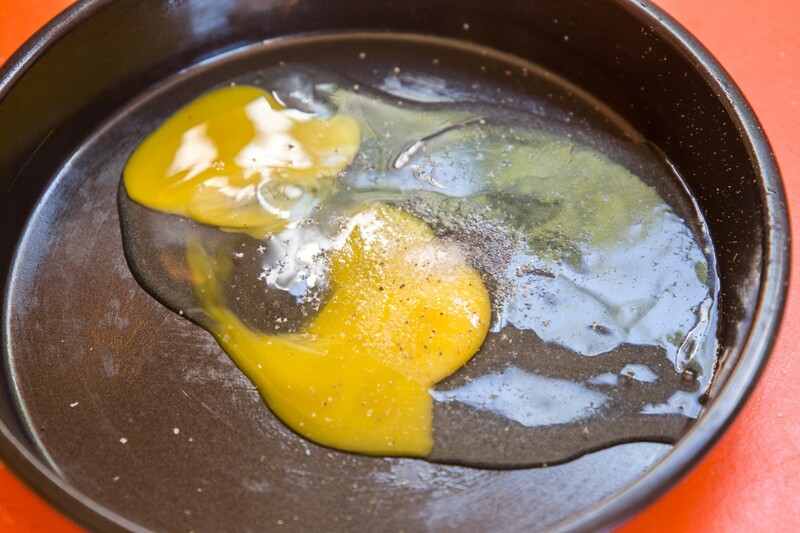 Crack the egg into a shallow dish. Season the egg with salt and pepper and whisk to combine. 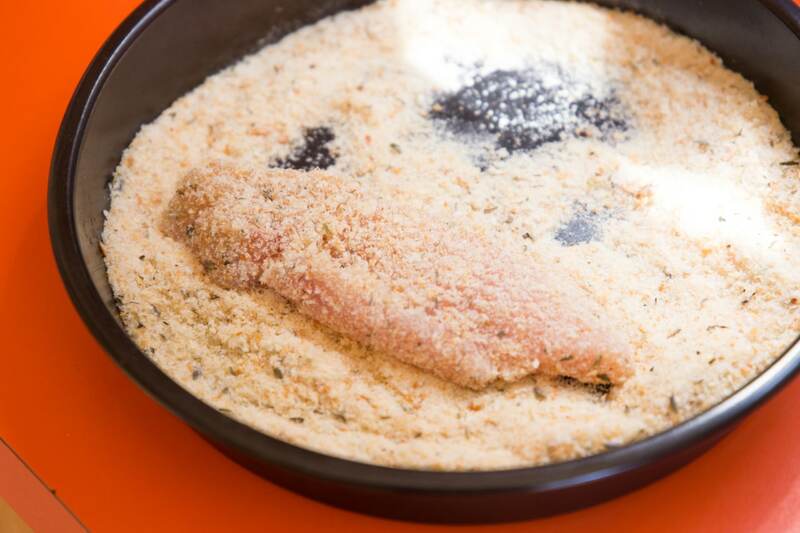 Place the breadcrumbs into a separate shallow dish. 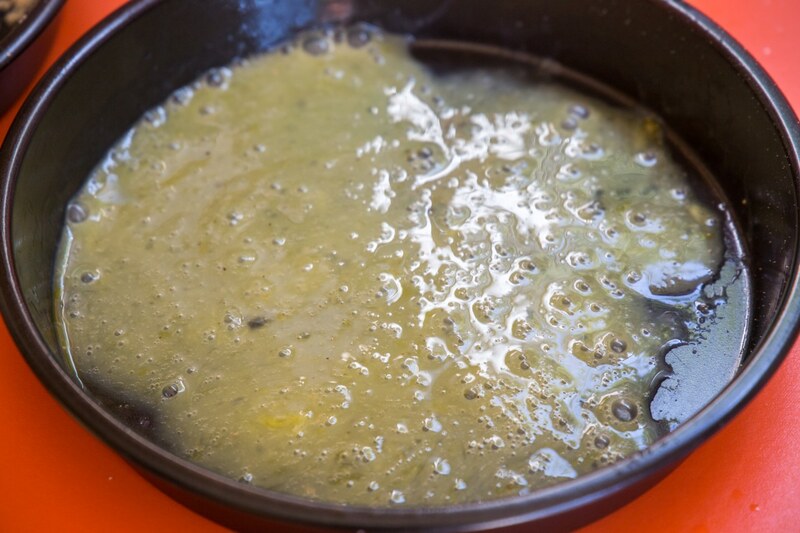 Dredge the chicken tenders through the egg wash, then through the breadcrumbs. 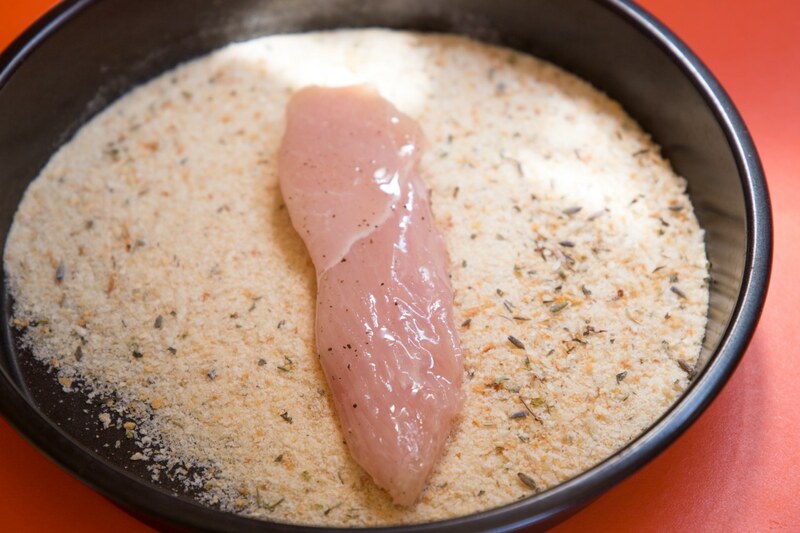 Roll the chicken through the breadcrumbs and press firmly to make the breadcrumbs stick. 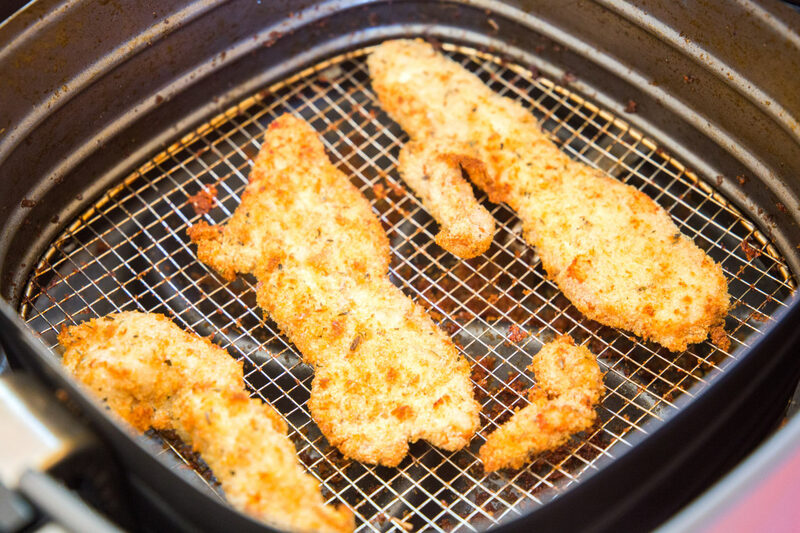 Transfer the coated chicken to the basket of an air fryer. 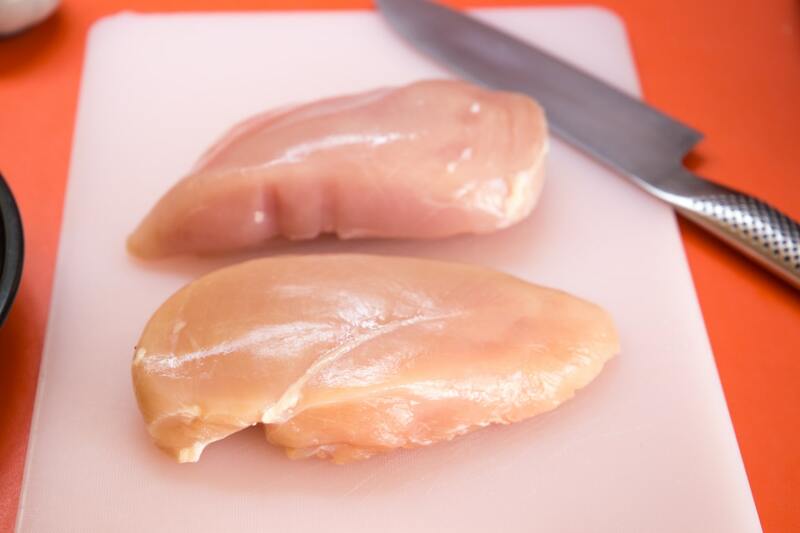 Spray both sides of the chicken tender with cooking spray - I like to use avocado oil or coconut oil. If you don't spray them, they won't brown up as nicely. Then air fry for 12 minutes on 400°F. Serve with ketchup, barbecue sauce, honey mustard, or your favorite sauce! I used fresh Italian breadcrumbs from my local bakery. 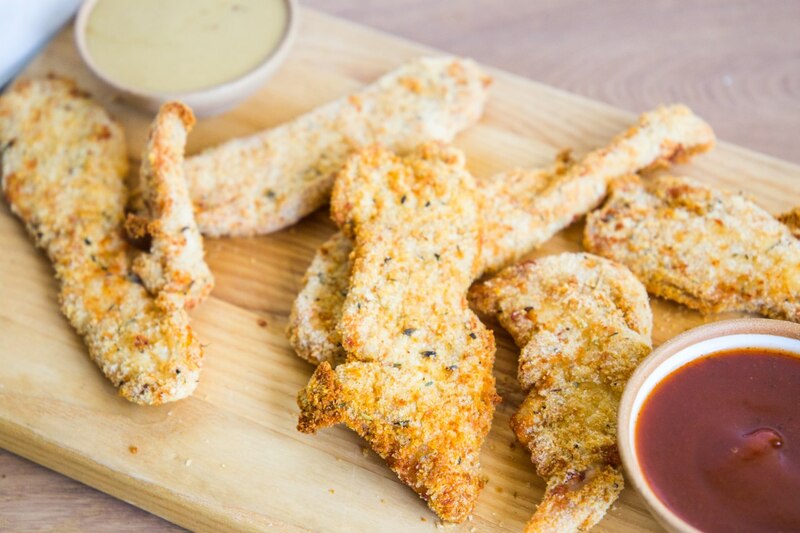 They are seasoned with thyme and rosemary, so gave these chicken tenders a more sophisticated, grown-up taste. If you're making these for kids, you might want to stick to plain breadcrumbs. You can also use panko breadcrumbs for a thicker, crunchier crust.